Kofi will find his way. 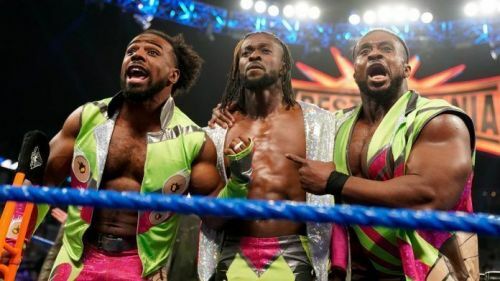 Kofi Kingston had to win an astronomical gauntlet match this week on Smackdown, to earn a shot at Daniel Bryan and the WWE Championship. He had to go through five of the toughest heels on the Blue brand's roster to get there. Kingston did so, but then Vince McMahon added another opponent for the New Day member to face. Daniel Bryan himself came down to finish off an exhausted Kofi Kingston and extinguish his WrestleMania dreams. Or did he? This is just another piece of this long drawn story, which will eventually see Kofi overcome the odds to finally become the WWE Champion after eleven difficult years. He will find his way into his match one way or another. 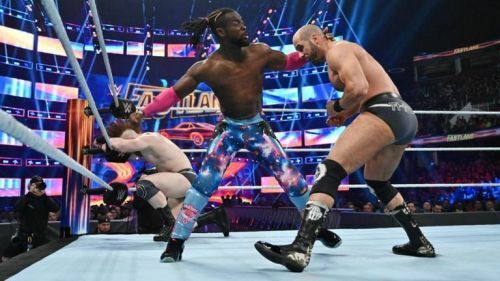 With two more episodes of Smackdown to go, here are a few possible ways how Kofi Kingston could earn the WWE title match against Bryan at WrestleMania 35. Kofi might have to face a similar challenge. This might be slightly lazy, considering it just happened this week on Smackdown. However, this is where Kofi Kingston shows his bang more than others. His in-ring work is unreal, even after a decade of performing at the highest level. Vince McMahon might book him in another multi-man match scenario where the odds are completely against him against say, The Bar, Kevin Owens, Mustafa Ali and a couple of others. After the two gauntlet match performances and the Elimination Chamber match, Kofi has already warranted a WWE Championship match at the Grandest Stage Of Them All. But much like Daniel Bryan in 2014, he is being made to jump through many hoops of fire to get to the promise land. After another monumental victory, it would hopefully be smooth sailing till 'Mania for Kofi and his New Day brothers.